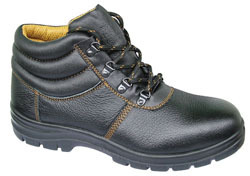 We are the distributor of Hillson , Securefirst Safety shoes and and we have another wide range of Safety shoes available in Chandigarh. 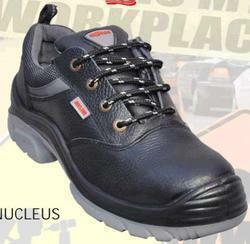 We are supplying these Safety shoes in the area of Mohali, Chandigarh, Zirakpur, Punjab, Himachal, Haryana, ambala, Kurukshetra, Karnal, Yamunanagar, Kalka, Ladwa, Solan, Baddi, Nalagarh, Parwanoo, Kala amb, etc. For any Safety product related requirement you can contact us. Contact us for the reasonable prices and good quality shoes. 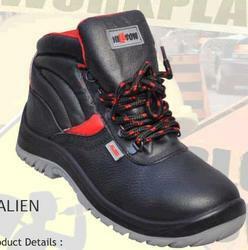 Backed by a team of experienced designers, we are engaged in manufacturing, exporting and supplying a wide assortment of Alien Safety Shoes Double Color. Our offered products are designed by our experienced designers keeping in view the latest market trends of the market. These products are available in a range of designs, sizes, colors and specifications, our offered product perfectly suits individual requirements of clients. Clients can avail product from us at market leading prices. 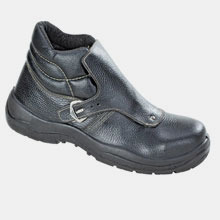 We are pioneers in offering a compact assortment of Tiger Safety Shoes to our patrons. Offered range is manufactured at the vendors base while keeping in consideration the basic needs of our huge client base. In addition to this, our range is fabricated by making use of optimum grade raw material with this range's further availability in various customized options. Besides, our range is quality tested as per various industry laid parameters to ensure its error free nature at the clients end.